Yes today, is when we wish Chinese people a Happy New Year "Xin Nian Kuai Le". Which is the biggest holiday in China. And everyone tries to travel to be with their families where the children will be given red envelopes filled with money to bring happiness and good fortune. 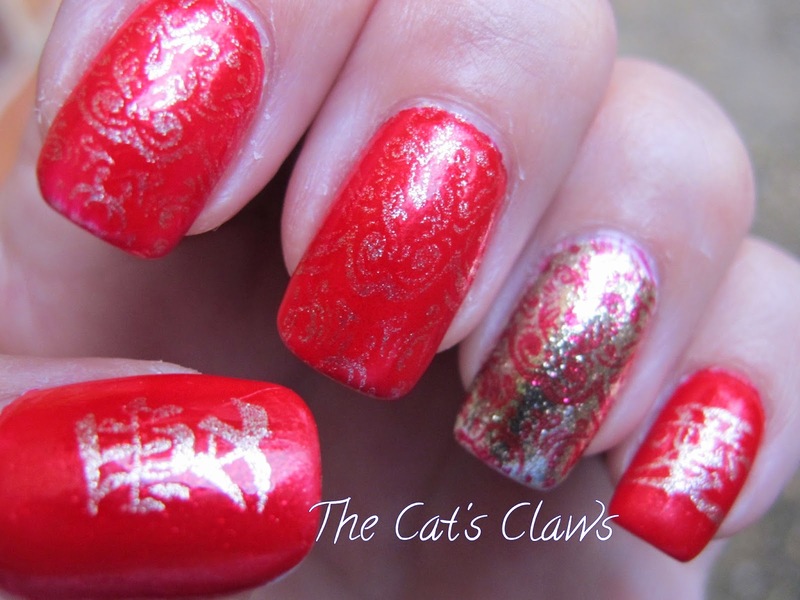 Red and gold are very lucky in China so my mani is based around these colours. 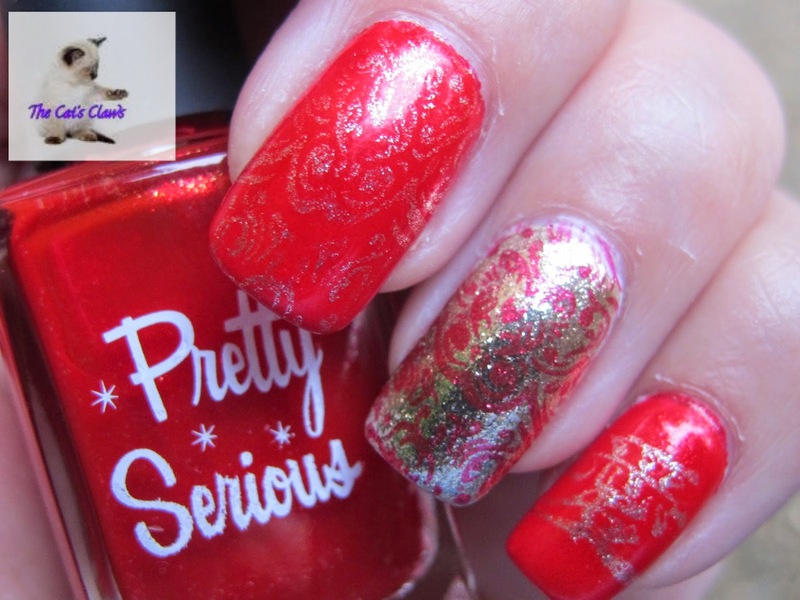 Two coats of Pretty Serious Limited Edition Evie's First Christmas with a Lacquistry Amazeballz You So Fine! as a gold accent nail. I then stamped on the top of the gold with an image from QA 73 using Evie's First Christmas. 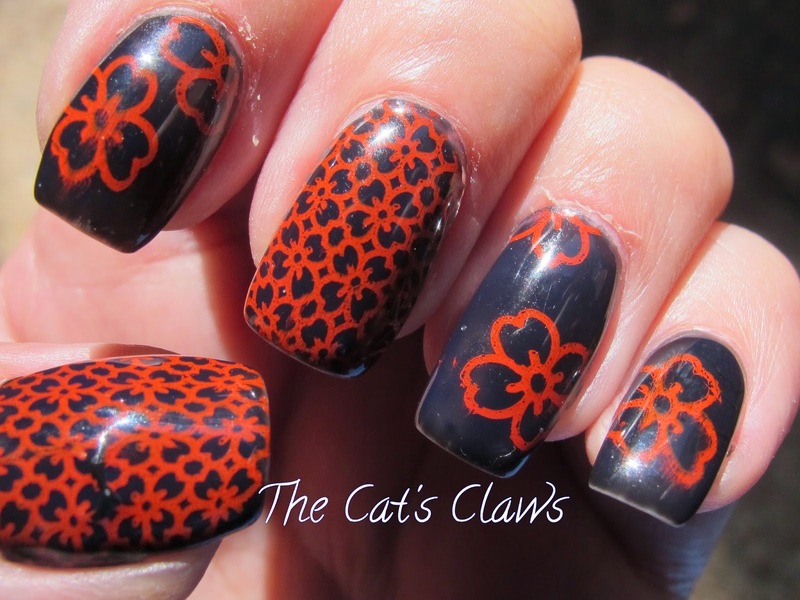 On my index and middle finger I used the same image and stamped with Sally Hansen Extreme Wear Golden-I. 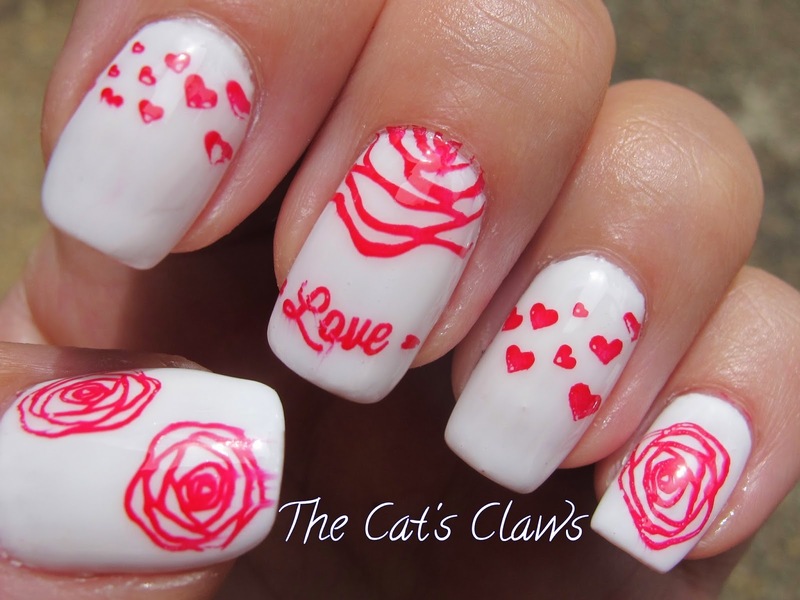 On my thumb and pinkie I stamped the Chinese symbol for love from a plate with just numbered M8. 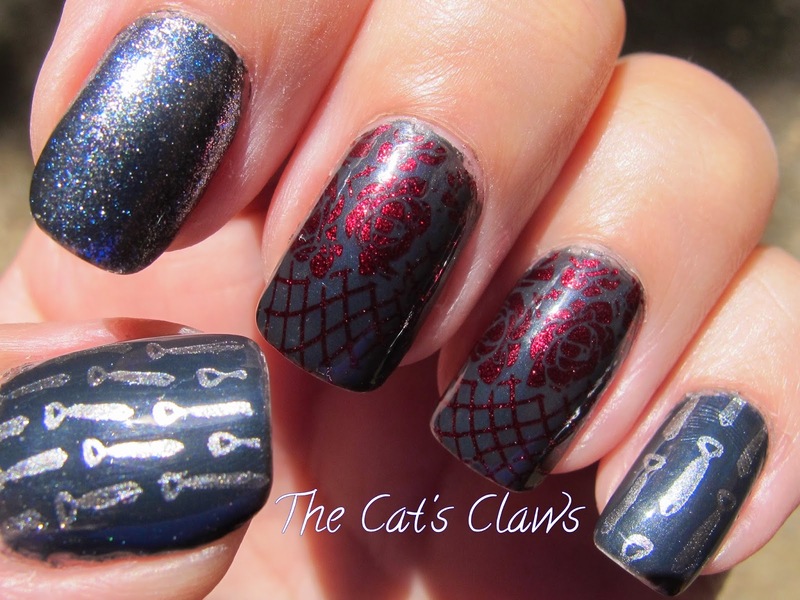 This mani ended up so super blingy that the gold stamping has not been picked up that well in the photos grrr. When in fact in real life you can see the gold stamping quite clearly! Also just checking back on my last years Chinese New Year mani this is the second year running that I have used a Pretty Serious red! 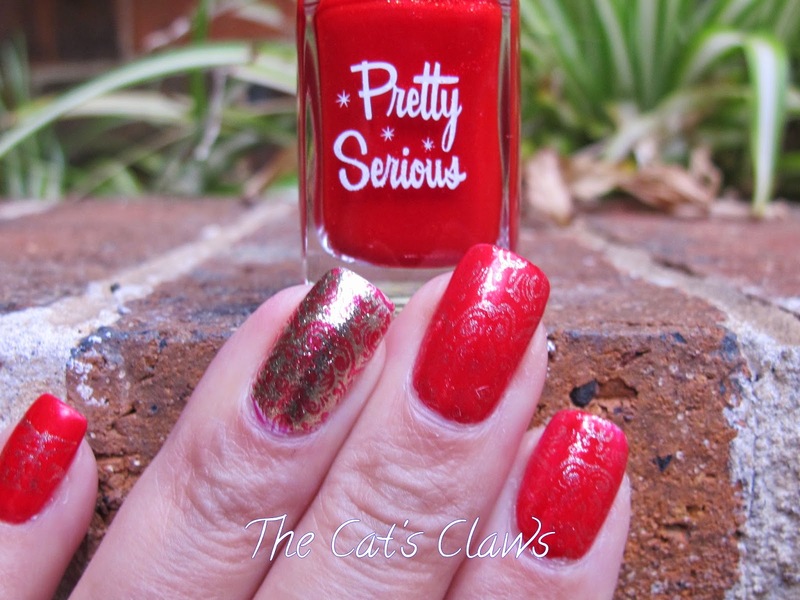 I just love Pretty Serious reds and I'm not a red person by any stretch of the imagination as in, I don't wear red in clothes or accessories! Labels: Amazeballz, Born Pretty, Evie's First Christmas, Golden-I, M8, Pretty Serious, QA73, Sally Hansen, You So Fine! I hope you are all having a lovely day today, and your loved ones have plied you with your hearts desire or you have plied yourself. This Valentine's Day is extra special this year because its been a whole decade since my husband proposed to me in Paris! So this milestone required extra special nails... 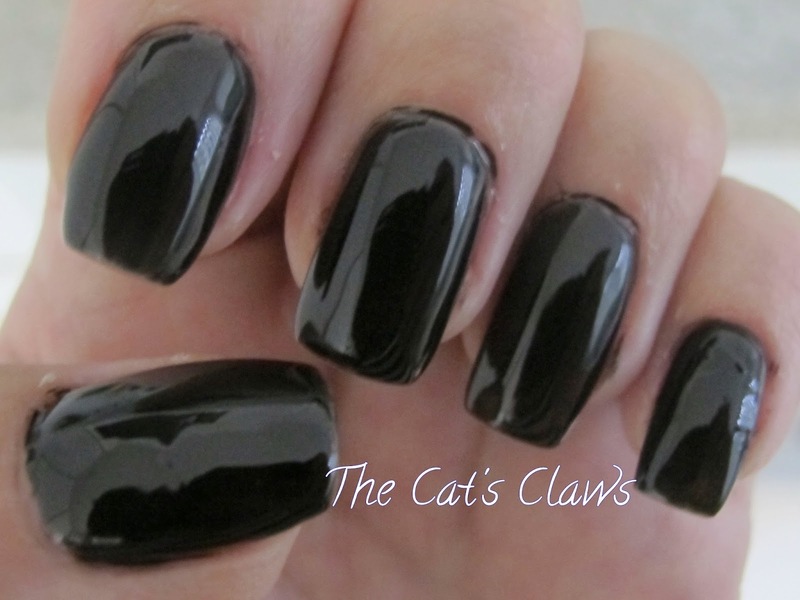 I am actually trialing a new generation gel polish from Qutique. And I must say I am impressed. On to my mani then, the full gel system of base coat, three colour coats in Snow White followed by the top coat from Qutique cured with a LED lamp. 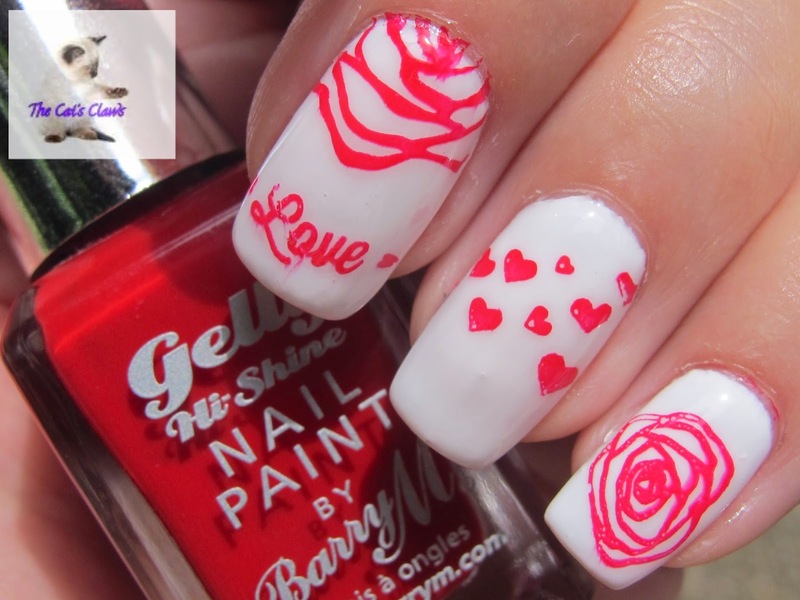 This is one of the best gel polishes I have used and my nails looked perfect and super shiny! Even though I have five layers of gel on, my nails are still super skinny as if I have only got one coat of polish on! 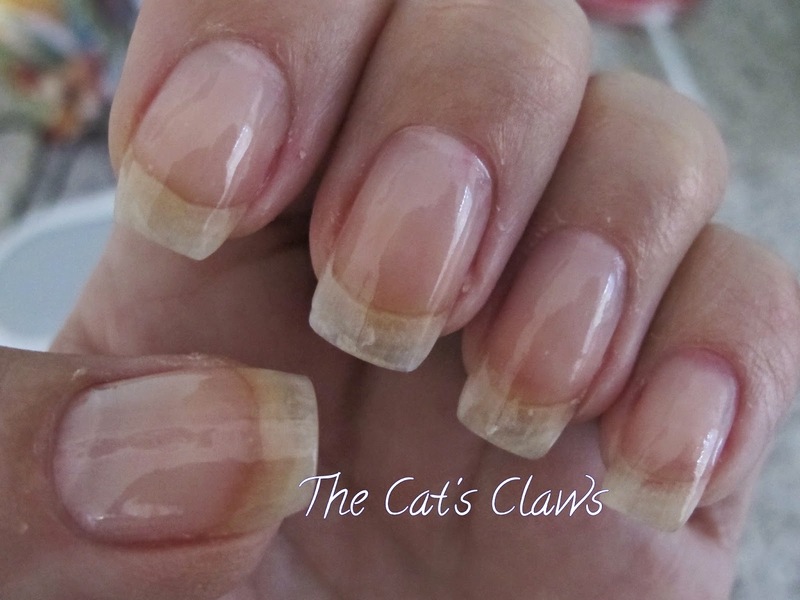 (I really can't get over how good this gel polish system is and I will do a separate post on it soon). 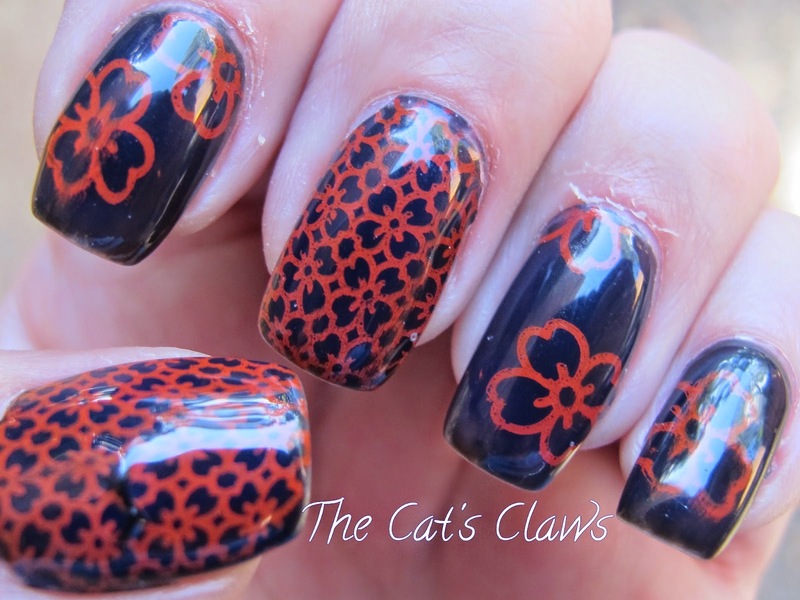 I then stamped images from MoYou London Bridal Collection 05, Sugar Bubbles SB 025 and Born Pretty QA 55 using Barry M Gelly Blood Orange. 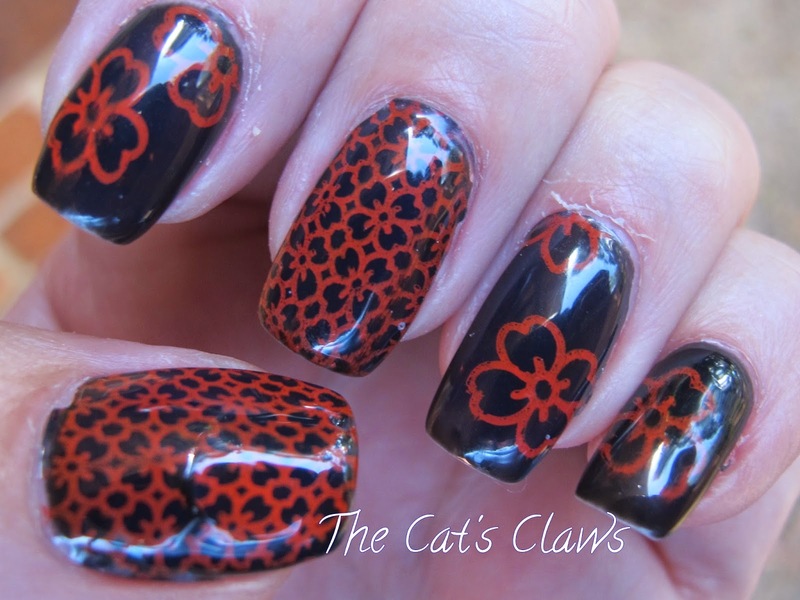 I then put a top coat of Seche Vite on to protect my stamping. So there I was wandering around Myer's when I spotted the new OPI 50 Shades of Grey Collection. And what was even better, the entire collection was in a mini set of six for $29.99! OMG! Be still my beating heart! OPI had bought out a mini set of six I've never heard of them doing this before, and of course I had to get them (the last box in the store too, so I imagine they are very popular). Out of the six I have three favourites which I think are very sophisticated colours, and to tell the truth I haven't really used the other three yet so that may change. 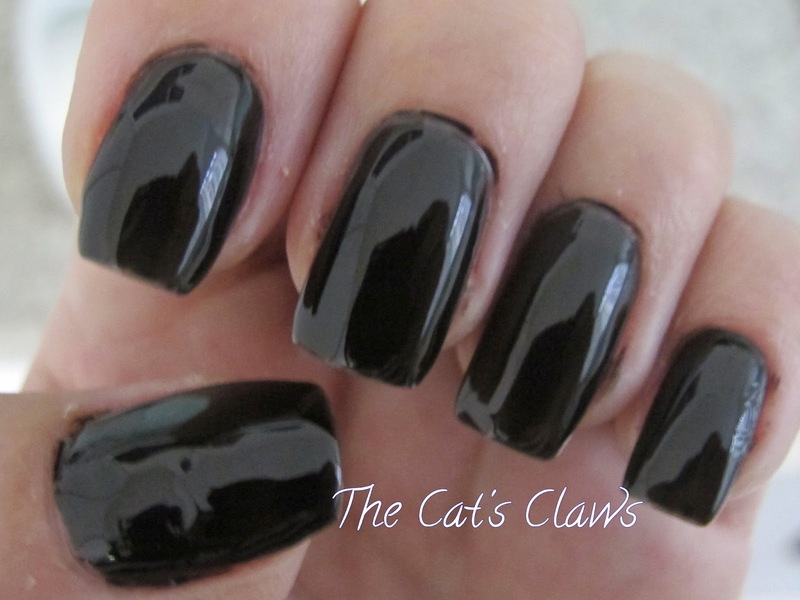 On to my mani then, my most favourite colour is the charcoal grey Dark Side of the Mood. 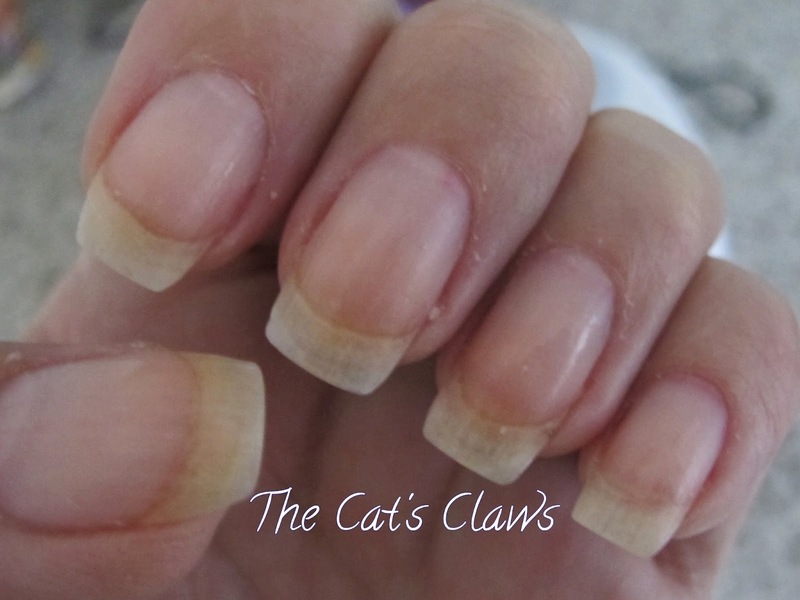 This was three coats on each nail. On my pinkie and thumb I stamped silk ties from D2 using you've guessed it My Silk Tie a beautiful silver chrome. 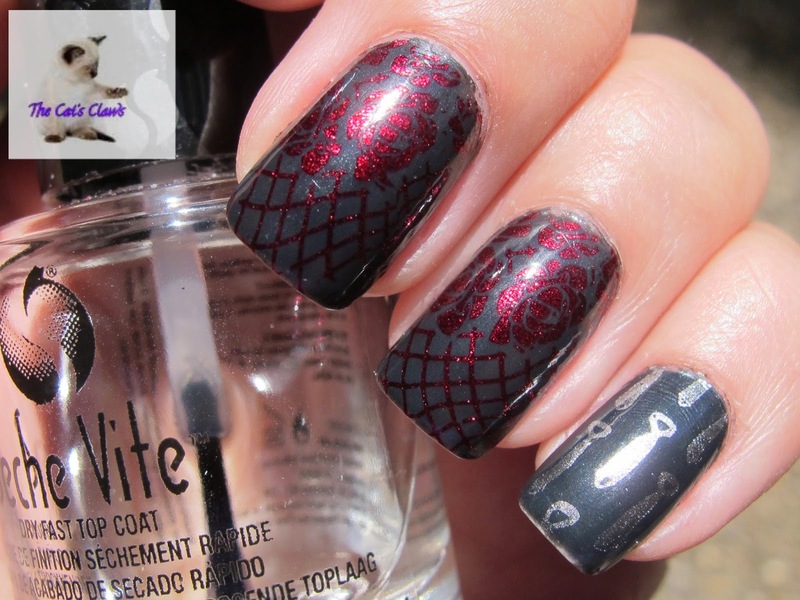 On my ring and middle fingers I stamped MoYou London Gothic Collection 05 using Kleancolor Metallic Red. And finally on my index I used just one coat of Shine For Me which I thought was a glitter but is in fact a silver foil with larger chunkier pieces of blue in it. 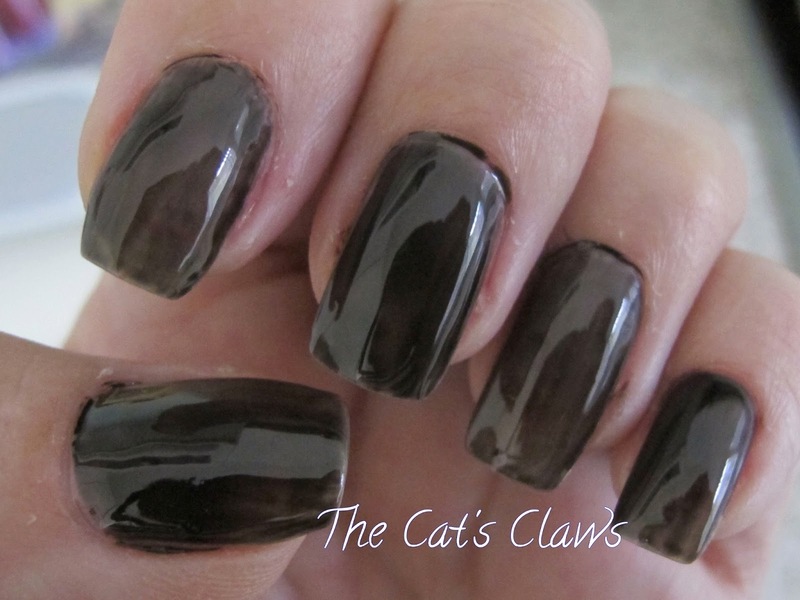 Then finished with a topcoat of Seche Vite. 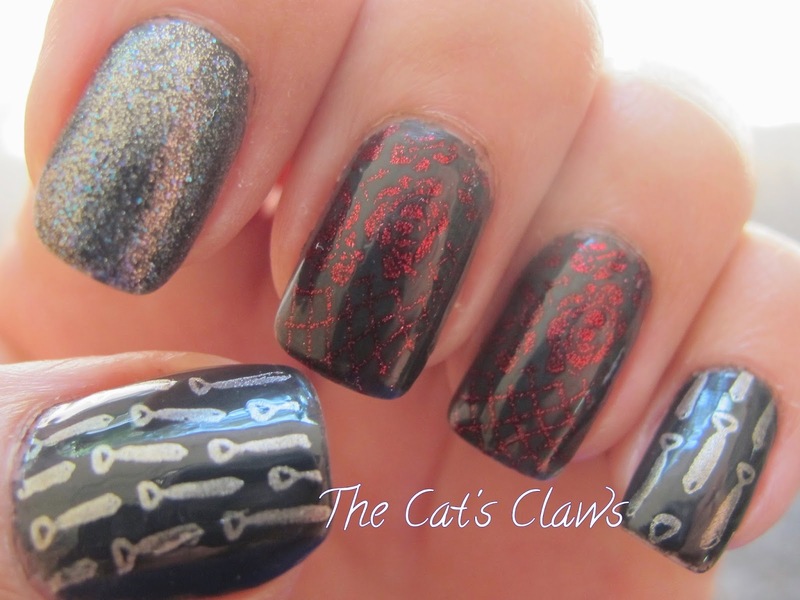 All in all I just love the OPI 50 Shades of Grey collection and my mani which I think is one of my best yet.